It is never good news to hear that the doctor has to operate, but when you get the news from a doctor in this Demented Surgeon Mens Costume, the news is especially bad. This insane doctor has bloody knives strapped to his waist. 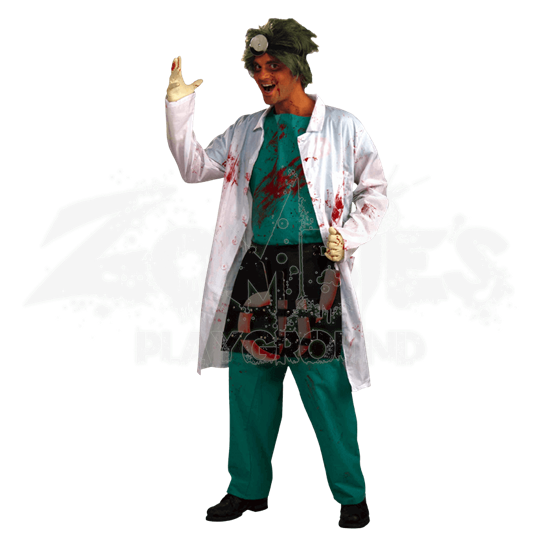 The terrifying costume is a classic doctor costume, which consists of pale green pants and a shirt, as well as a white doctor coat, all of which have been stained with blood. The costume also includes a black apron-like belt that is perfect for storing all of your surgical tools, which come included with the costume. They happen to be stained with blood to ensure that you look as terrifying as possible. Please note that the costume does not include the pictured reflector, wig, gloves, or shoes. This costume comes in one standard size, which fits up to a 42 inch chest. To make matters worse, there is no shortage of situations where a clever individual can put this Demented Surgeon Mens Costume to work. 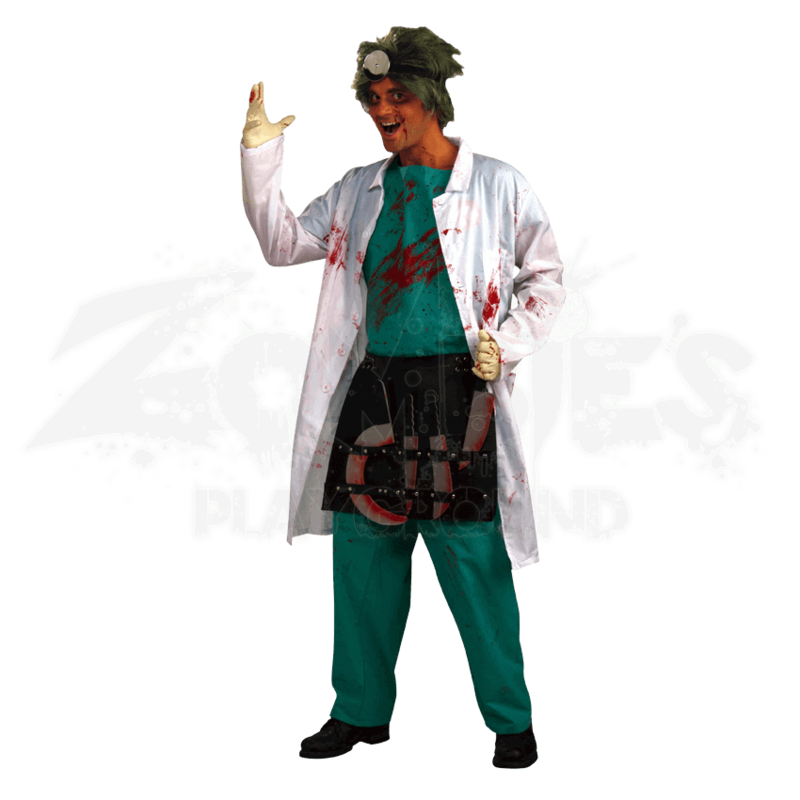 Even a smarter-than-your-average zombie could don this costume and transform themselves into the most terrifying surgeon to ever walk the earth.